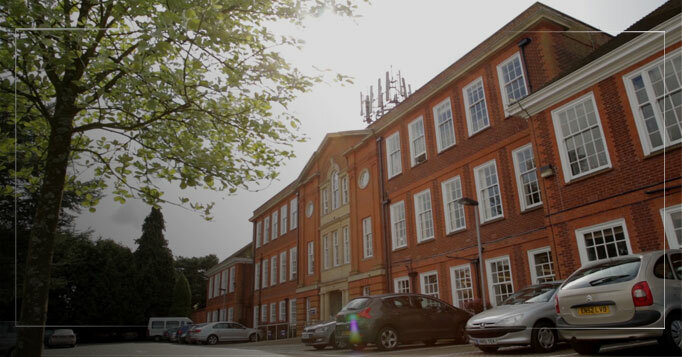 Silvertip Directors Geoff and Chris both attended Godalming College, which proved to be instrumental in the drive into and development of their passion for filmmaking. Being asked to produce, in 2014, the promotional prospectus video was, for Geoff and Chris, a real honour – the chance to go back to their college and create a video to engage new students to sign up there, it was also the chance to showcase for the college what their education could do for people. Working closely with the college, we produced a video which featured staff and student interviews – which were also edited into additional case study videos – alongside campus, classroom and social life footage. All of this combined to really showcase the vibrant life and education present at the college. We filmed originally with Canon 5D cameras and used a (then new) gimbal camera system to give us fluid, moving Steadicam-style shots – this system would go on to spawn today Ronins and Movi’s. We also used a motion controlled time-lapse rig which gave us moving tracking shots, captured across the duration of a basketball game for example. The 2014 video was a great success and a real achievement for us and the college. In 2017, we collaborated again with the college to refresh this video and reshot 80% of the material – keeping some of the motion controlled shots and Steadicam-style shots – using our new Blackmagic Cameras and some aerial drone footage of the college that had been captured as part of a grounds photoshoot. This new video followed much the same template as the original video we made, but was more up to date, more vibrant and dynamic than the 2014 edit. Working with Godalming College has been a real pleasure for us, as it put two of our principal team members on the working path they are on today. For a promotional video quote, please email us on [email protected] or Contact Us and we will then get back to you to discuss the project in more depth..